Are you an athlete or a performer looking to take your movement and strength to the next level? GIME is the place for you. Studying under some of the best Physical Therapists, Kinesiologists and Athletic Trainers in the world, we have implemented assessments and corrective exercise routines utilized by top athletes in sports such as football, baseball, golf, dance, tennis, volley ball and soccer. Form follows function. The body can only perform as well as it is functioning at its base level. Many athletes are suffering from overworked muscles, compensating for those which are not working efficiently and postural issues such as rounded shoulders, tight hips and rigid ankles. These issues put an athlete at an increased risk of injury and adds an additional hurdle to achieving their success. 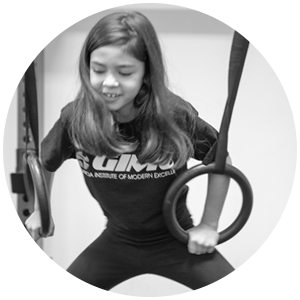 GIME offers a functional movement screening and overall postural analysis which will help determine the athlete’s weakest link. The initial assessment will offer a base understanding of where the athlete needs to focus first with a recommended follow up plan to ensure the athlete’s movement pattern is improving. Are you a coach or a teacher of a competitive team? If so, you know your team is only as strong as your weakest link. GIME offers a team assessment and customized training programs tailored to your group. The average cost of a team assessment is $15 per team member which can be covered by the coach, athlete and/or parents. Private group training for athletic teams is also available upon request. Contact us today if you are ready to achieve EXCELLENCE without Injury! The initial assessment includes two 45 minute sessions, an initial corrective exercise program and a follow up progression. Additional sessions are available in 30-60 minute increments depending on the need of each client. Rates $75-$150 depending on time required. Follow up sessions only $60 for all youth under 18 years of age. Commit to be EXCELLENT and SAVE! *12 Sessions for only $720 total/$60 each. The initial assessment fee is waived. Email info@gime.us or call 352-428-6368 to begin your screening and analysis.